Rodent Problem ? Need Rodent Control? Being in the rodent control business, we can honestly say rodents are probably some of the most loathed of all the pests we encounter. The presence of mice and rats is common in any property and, with all the damage they could do, they are often problematic to have around. Rodents control is necessary in all rat- or mice-infested structures to keep your place free from damage and health risks. Like any other pest, rodents come into your house for food and shelter. The living conditions and abundance of food supplies in your property supports their growth and survival. According to the data of the United States Environmental Protection Agency, rodents are responsible for causing significant damage to food supplies and properties across America. They also carry a host of infections, which can be transmitted to humans in a variety of ways. You can contract rodent-borne diseases directly through consumption of contaminated food/water or bite wounds, or indirectly by way of fleas, ticks, and mites that spread the infection to people after feeding on mice or rats. This is why quick and effective rodent control is so important. 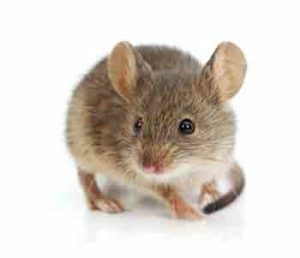 As experts in rodents control, the basic advice we give our customers is to seal all entry points, like cracks on the wall or holes in the ceiling, and keep doors and windows closed to prevent mice and rats from entering the property. This is quite challenging, as mice and rats can squeeze in through tight spaces and fit into small holes. Clean up all food sources to avoid attracting rodents. If you find signs of rodent invasion, such as droppings, evidence of gnawing and burrowing, and stale odors from hidden areas, it’s best to call the services of professionals immediately. Leaving the job in the hands of experts in rodents control allows you to control the infestation and properly take pests out of your property. Rats are looking for a home in your house. U.S. Termite and Moisture Control Pest Control, Chesapeake, Call Us Today !